Eupatorium rugosum 'Chocolate' is an outstanding plant due to its architectural nature. Fabulous dark purple-brown leaves earlier in the year, turning to bronze as the foliage matures. 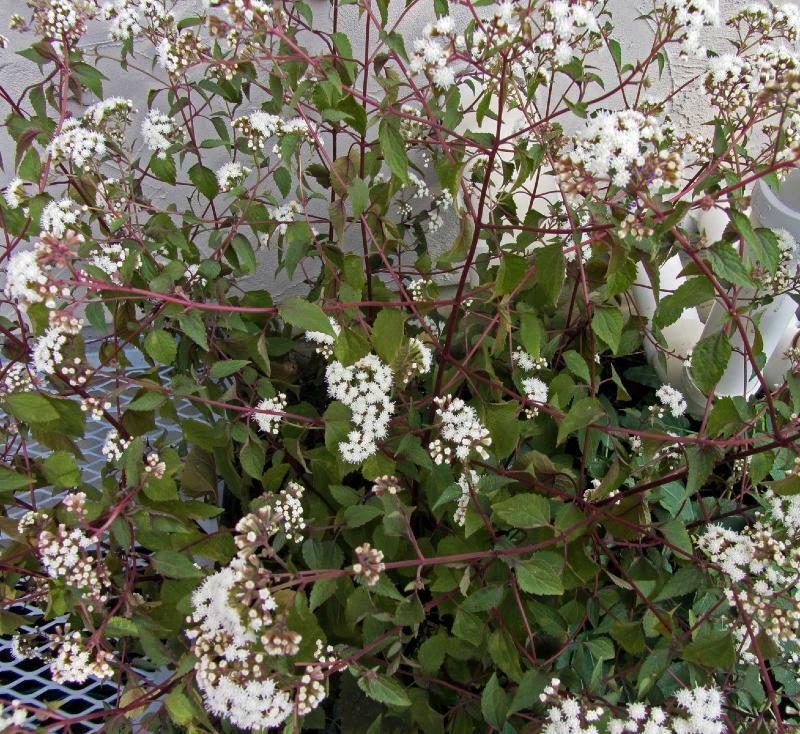 Fuzzy, white flowers appear in late summer and continue through to autumn. 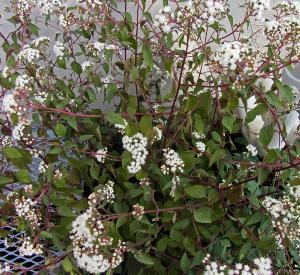 Useful in shady ares and will tolerate dry shade once established. Foliage and flowers are good for cutting. Attractive to butterflies. Hardy and very easy to grow - height to 2m. Ideal as a contrast perennial in a mixed border.